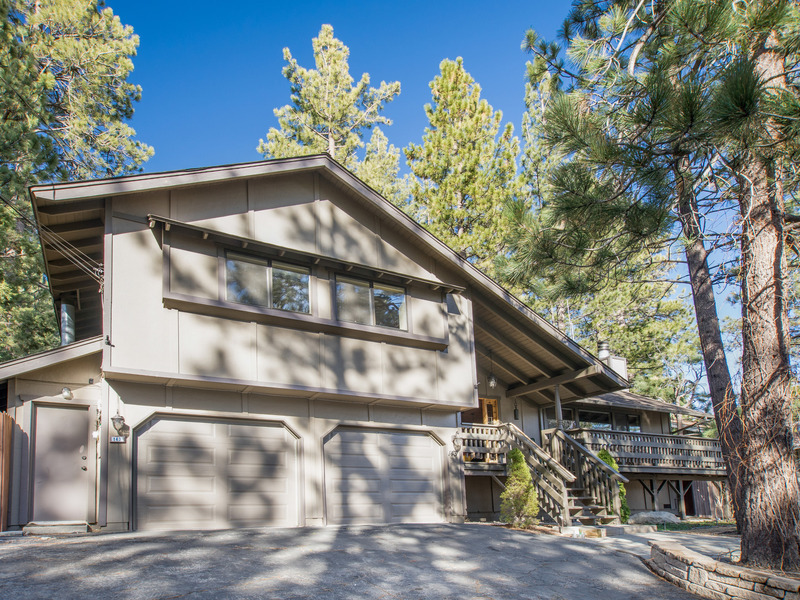 Everyone’s invited to this 3BR/2.5BA Big Bear Lake house! 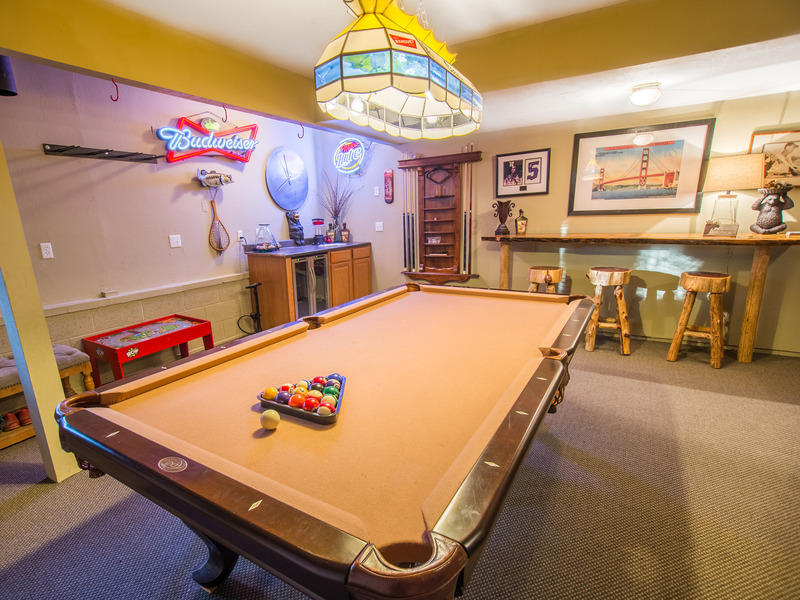 Enjoy a boredom-busting game room and spacious deck with comfy furniture, two grills, and stunning views. 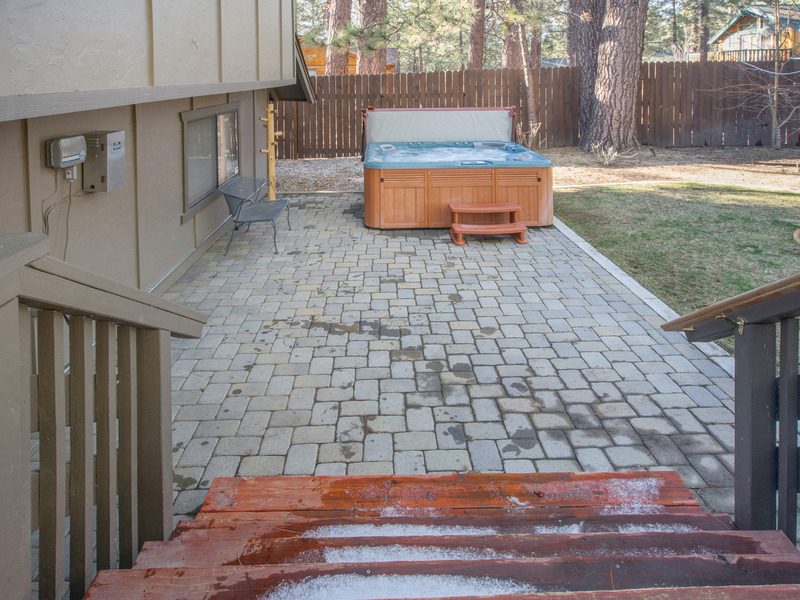 Walk across the street to Big Bear Lake, and take in peek-a-book views of the water through the treeline on the front porch. 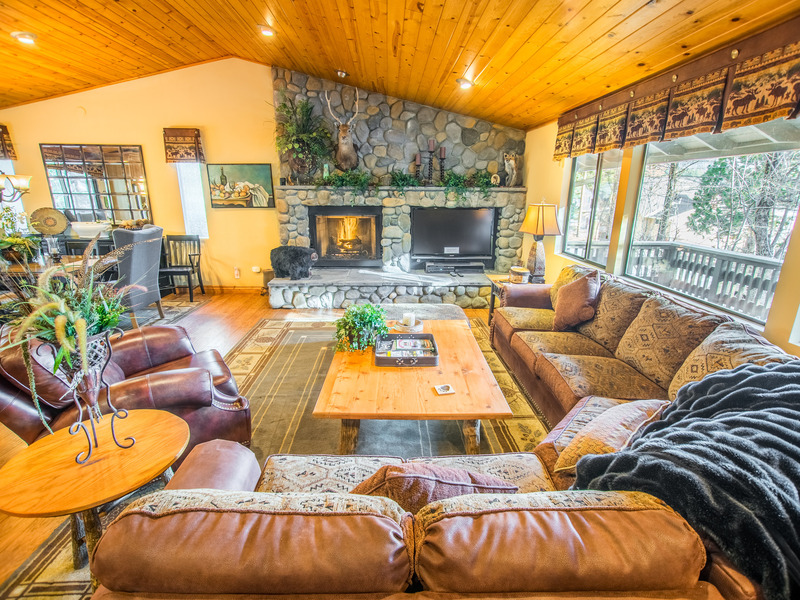 The open-concept main living area boasts handsome hardwood floors and mountain decor. 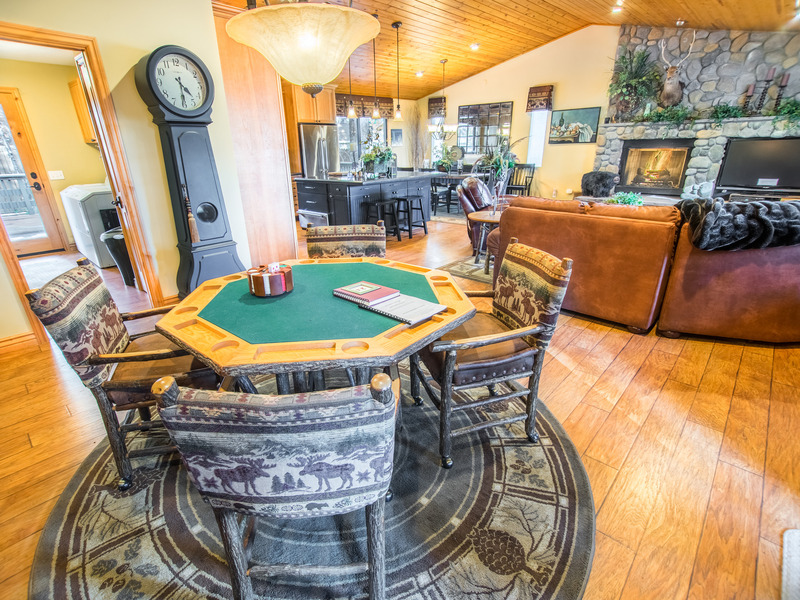 A game table stocked with chips and cards is perfect for poker night. 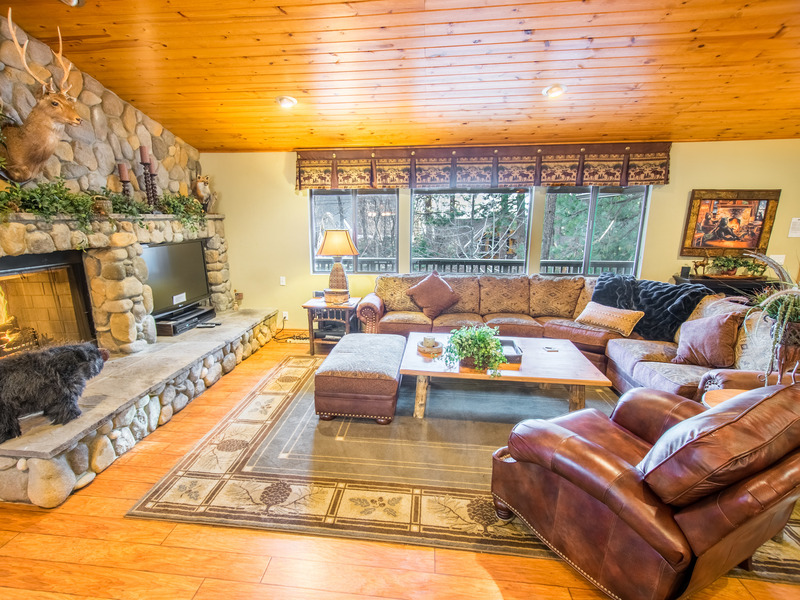 The stone gas fireplace in the living room adds a warm ambiance; just add a movie on the 55” flat screen cable TV. 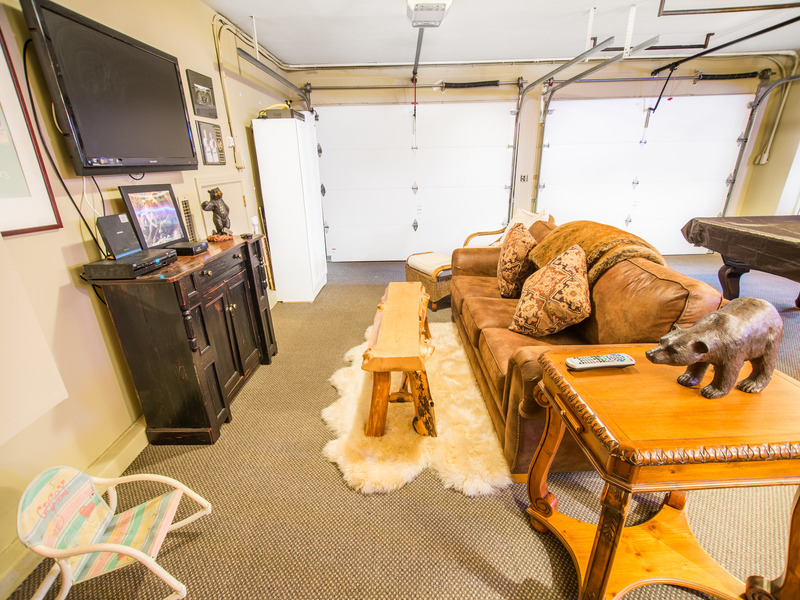 The 2-car attached garage doubles as a game room with a pool table, game table, and 42” flat screen TV. Serve up your favorite drinks at the bar with mini fridge and unique tree trunk barstools. The queen sleeper sofa hosts extra guests. 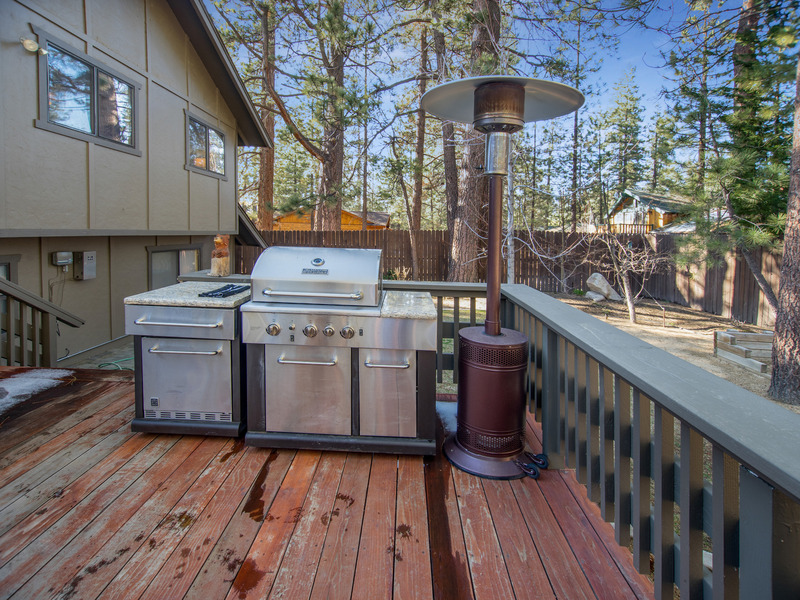 A spacious deck affords mountain views. 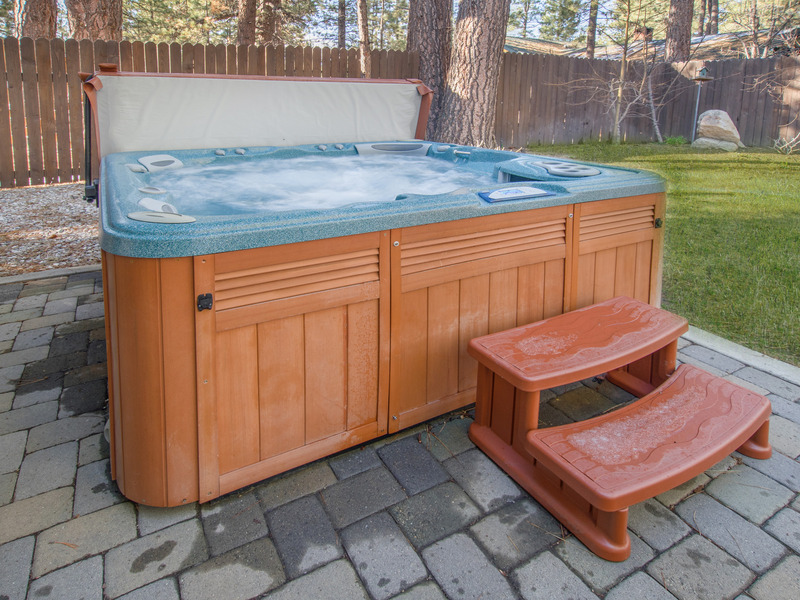 Soak in the hot tub and cook easy meals on one of the two grills. The yard has a hammock and a horseshoe pit. 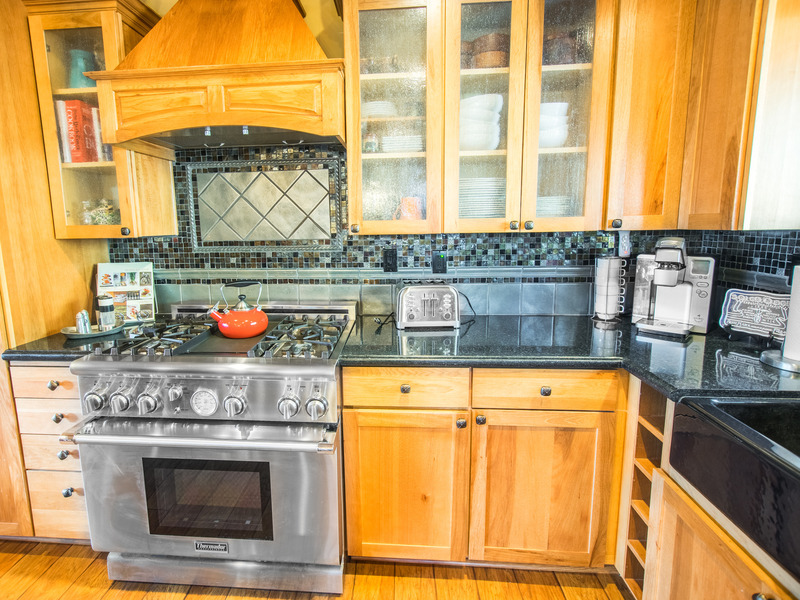 Cook up group meals in the gorgeous kitchen with stainless appliances, including a Thermador gas range. 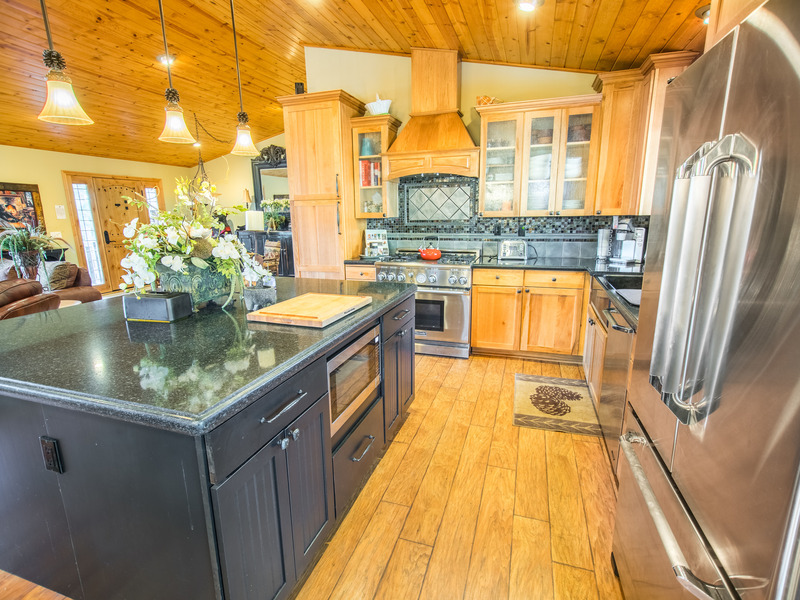 The kitchen also boasts granite countertops and a deep apron-front sink. 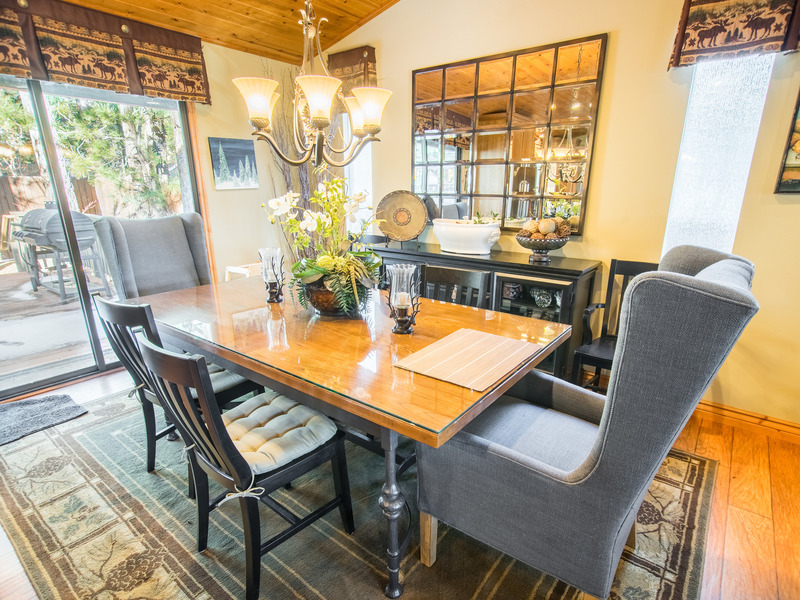 The stately dining table seats eight comfortably. There’s even a high chair for younger guests. 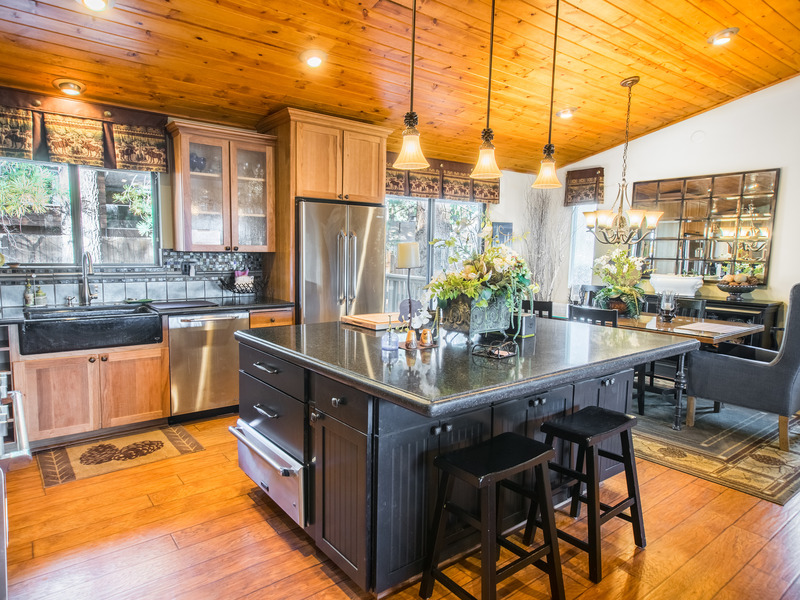 Two more guests can sit at the nearby kitchen island. 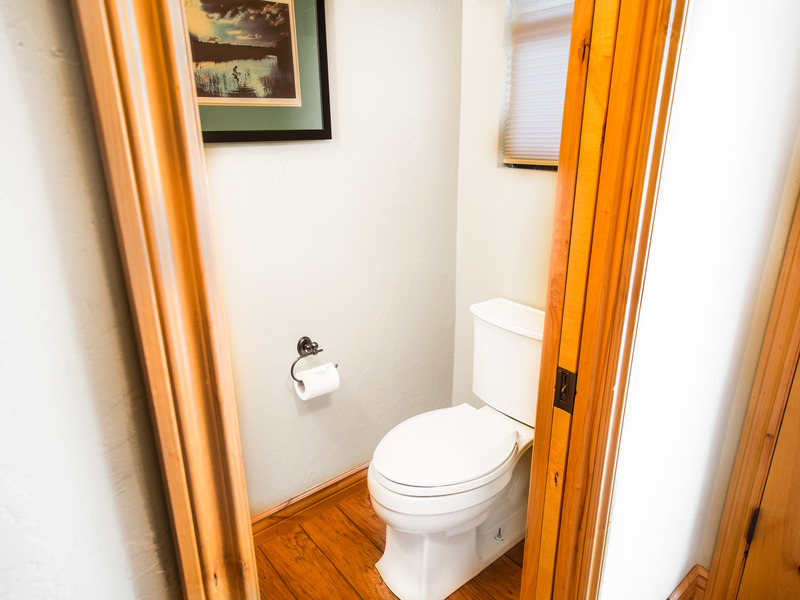 This home has three bedrooms: one on the lower level and two upstairs. 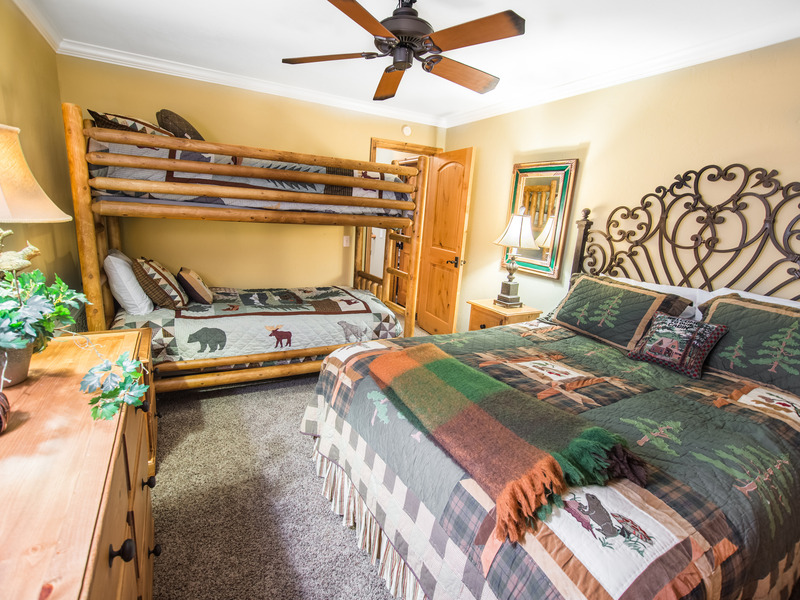 The lower-level bedroom has a queen bed and twin-over-twin bunk beds. 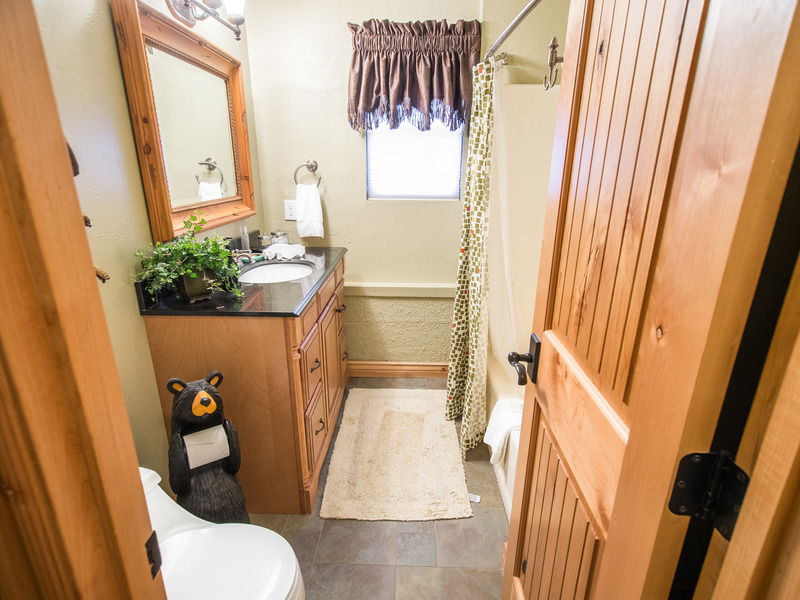 A full bath is next door, with a shower/tub combination and extra storage. 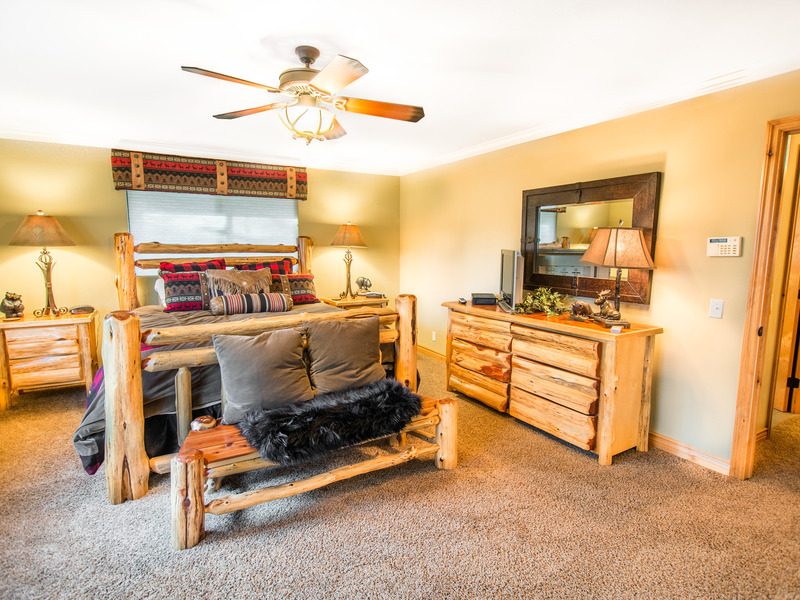 On the second floor, the second bedroom has a king bed with log headboard, A closet, plenty of storage and a flat screen TV. 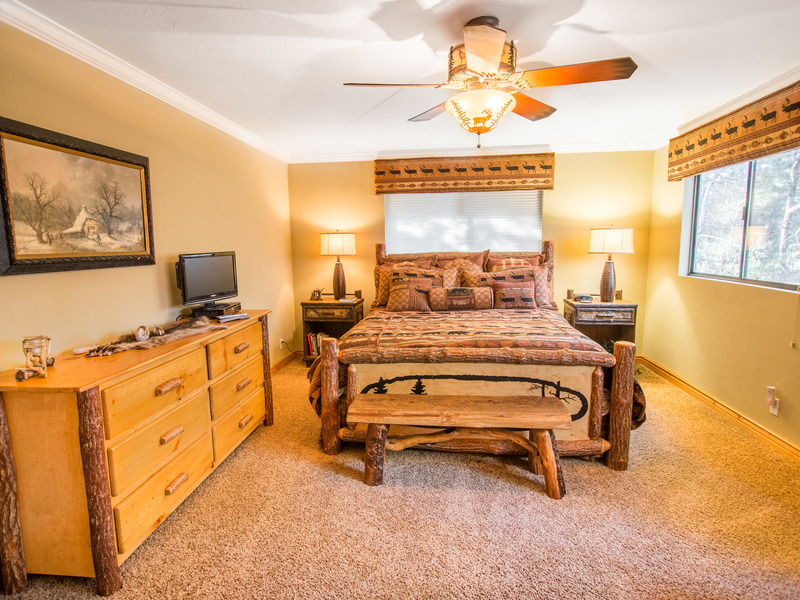 The third bedroom includes a king bed, reading chair, and ample storage. 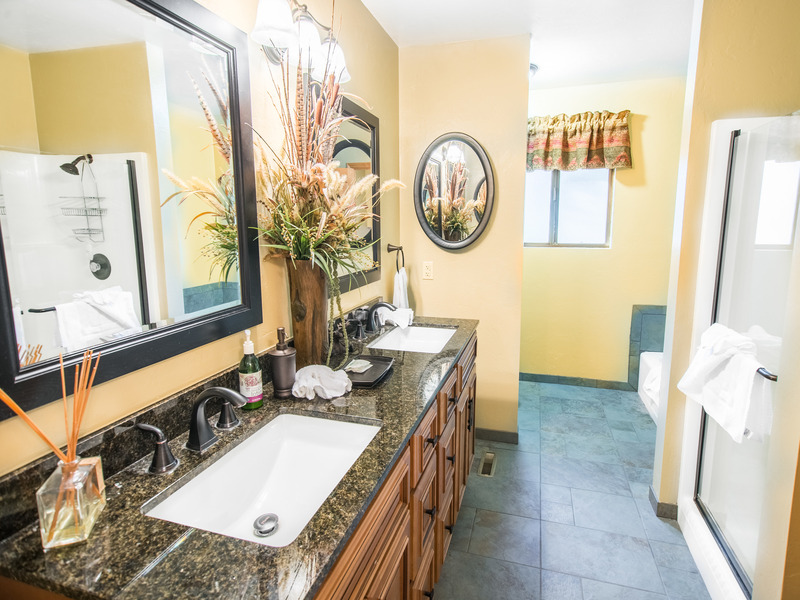 The upstairs full bath has dual sinks, soaking tub, and walk-in shower with glass door. 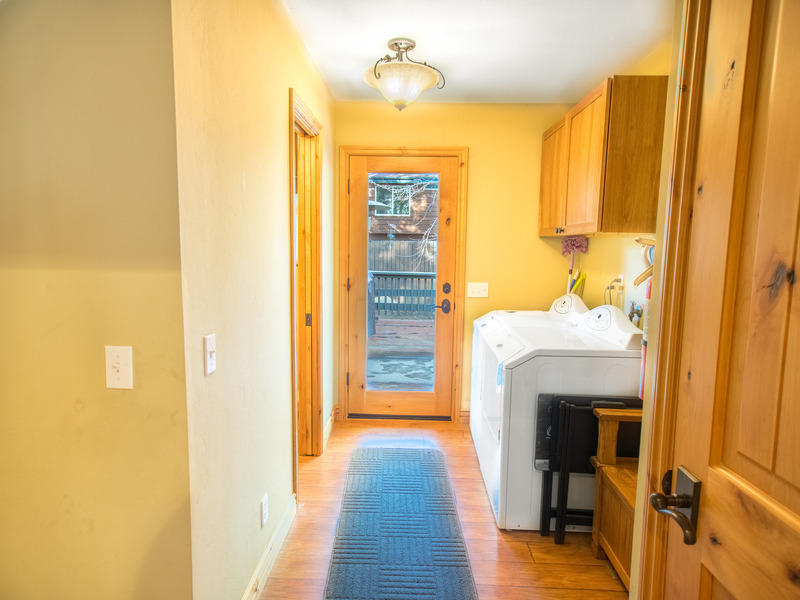 This rental has a washer/dryer and three parking spots. 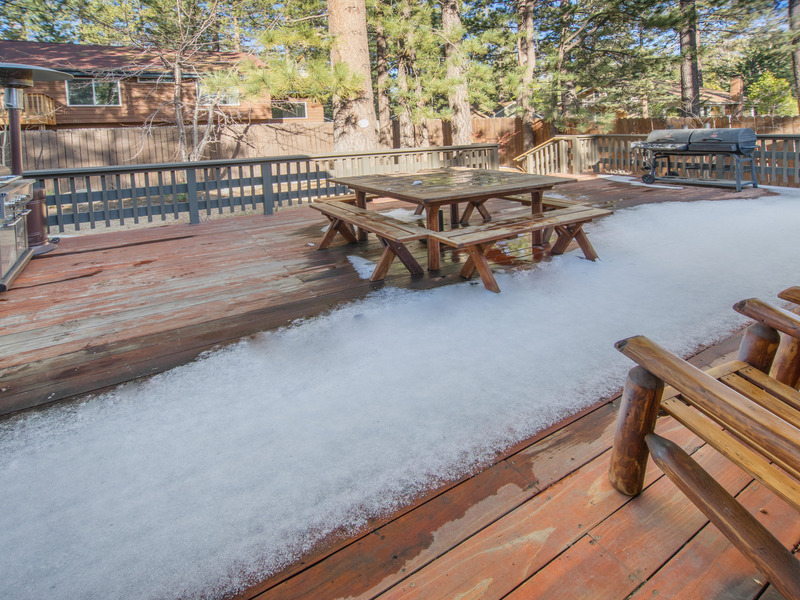 Just cross the street is Big Bear Lake, boasting beautiful scenery all year round! Several restaurants are just minutes away. 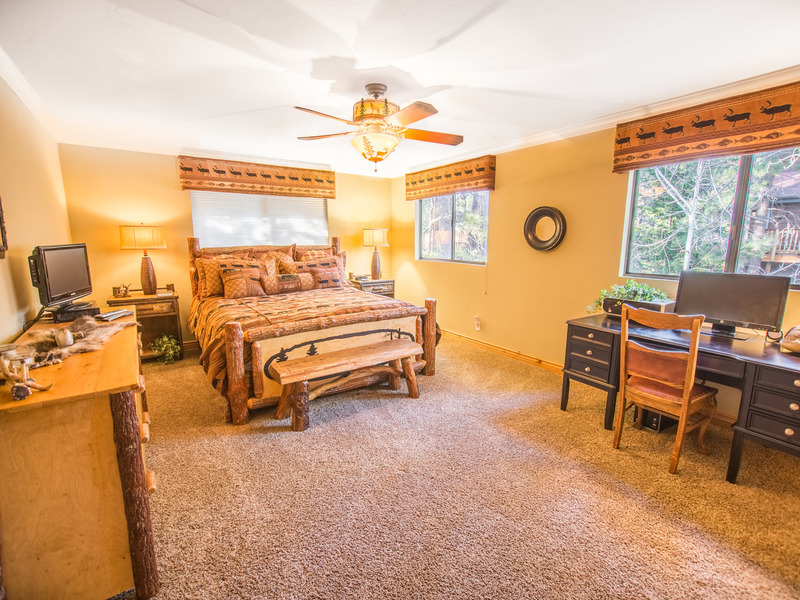 Fast food, coffee shop, Mexican -- Big Bear Boulevard has a variety of dining options no matter what you’re craving! Great for snow bunnies to black diamond pros, the Snow Summit Ski Resort is less than 10 minutes away. 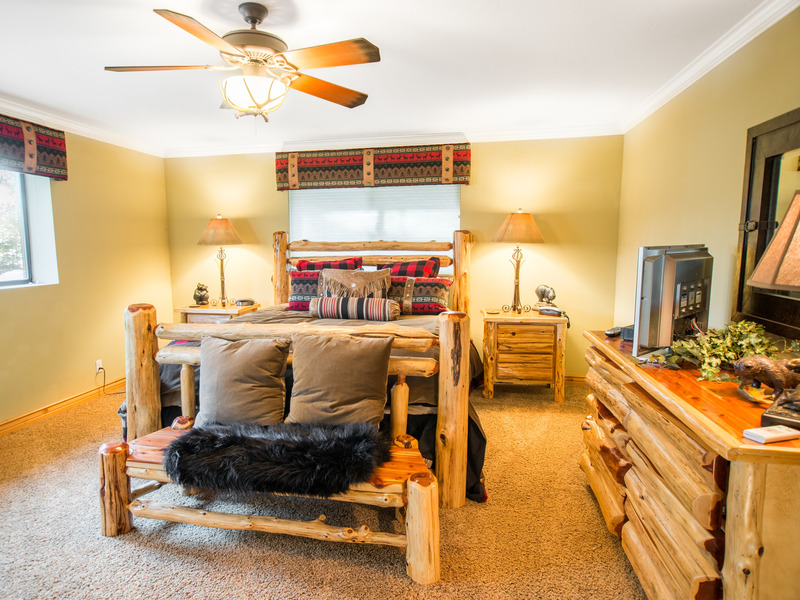 It has fun runs for all ages and skill levels, as well as a snow tube park and climbing wall. Quaint downtown Big Bear Lake (7 minutes) is bustling with shops, art galleries, and even a movie theater. When the sun goes down, the area comes alive with nightlife at the numerous bars, clubs, and restaurants. Pine Knot Marina (8 minutes) is the place to be in the warmer months with a paddle wheel boat tour, pontoon and ski boat rentals, and fishing excursions.